If you love trains and local history, you’ll want to take a closer look at Union Depot. You can enjoy a free tour every other Tuesday at 11 am. Learn more about this important transportation hub and gathering place. Union Depot was a major railroad station of the twentieth century. At its peak, there were as many as 300 trains and 20,000 passengers each day. Some of the most famous travelers included Calvin Coolidge, Harry Truman, Dwight Eisenhower, the King and Queen of Norway, Cary Grant, and F. Scott Fitzgerald. The neo-classical architecture is typical of many public buildings of the 1920s with tall columns and close attention to symmetry. The station closed in 1971 when rail service was restructured. After extensive renovations costing more than $240 million, it reopened at the end of 2012. In addition to providing rail services, the station is now helping to transform Lowertown with a wide variety of retail, dining, and cultural opportunities and events. The free Tuesday tours are one hour long and start at the East Clock in the Head House. Private tours for students and other groups can also be scheduled by request. Once you learn more about Union Depot you can make it your green and convenient way to travel and participate in local festivals and events. There’s even high speed rail service to Chicago. Closer to home, you can drop in three times a week for free fitness classes courtesy of Studio 9 to 5 or drop off your old books and pick up new titles at the free Little Library. Of course, the station is also a popular and beautiful venue for weddings and other private and corporate events. 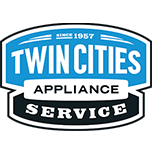 Twin Cities Appliance Service Center is part of local history too. We’ve been serving the Minneapolis and St. Paul area since 1957. Contact us for Whirlpool Corporation Factory Certified Care and all your appliance service needs.